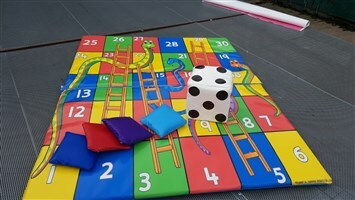 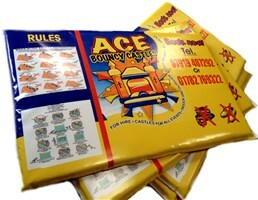 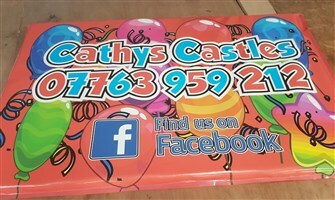 We produced hundreds of mats and printed mats each year here at Andy J Leisure. 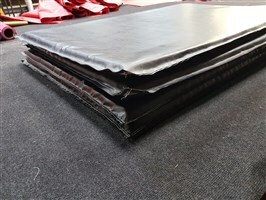 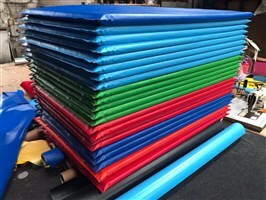 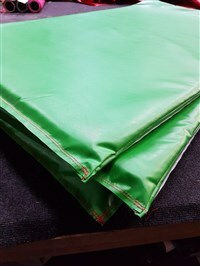 What type of mats do we offer? 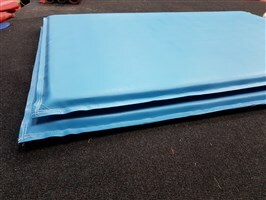 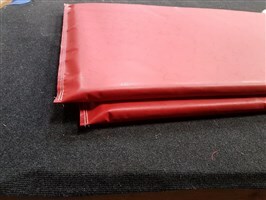 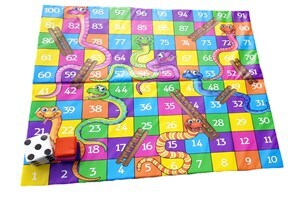 We make 610gsm PVC coated FR mats, measuring approximately 5ft x 3ft in size and approximately 2" thick. 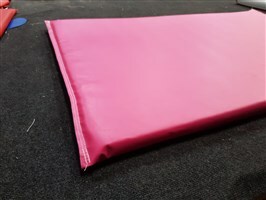 We also provide velcro mats that lock together to create a large floor mat, we can also do this with different shaped mats. 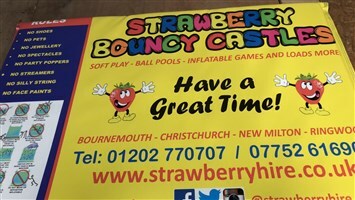 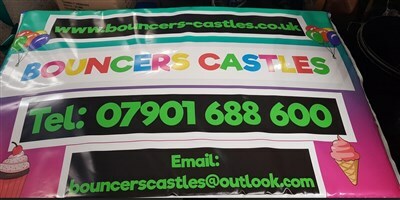 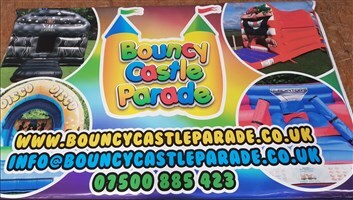 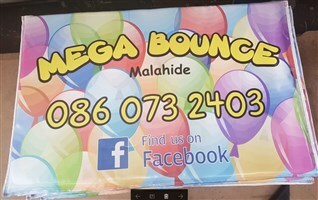 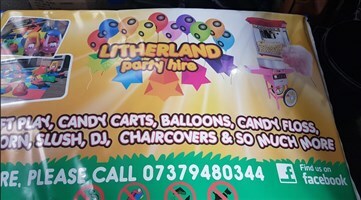 Printed mats or advert mats (sometimes known as "ad mats") are mats with either your logos and branding or just general printing such as "Party Balloons"
I don't have a logo or mat design, can I still get printed mats? 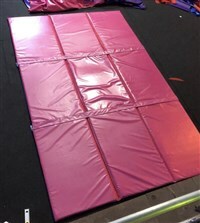 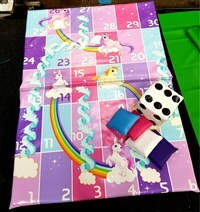 Yes, we can design a mat for you and once you like it we can get them printed!